· The quicker you treat the stain, the easier it will be for you to get rid of it. Leaving the stain in place for a long time makes the stain set in, and difficult to remove. · Do not use a dark colored towel on the clothes during the cleaning process. A few ingredients can transfer the color of the cloth on to your clothes, giving you an even bigger problem than before. · Do not put stained clothes in the dryer without removing the stain first. Drying the clothes can make the stain permanent. · Always do a spot test of the cleaning solution on a small, hidden area of the fabric to check for any damage that the solution may cause to the fabric. · Blot the stain with a soft, clean cloth to get rid of any excess liquid that may be present on the clothes. · Do not use a bar soap on the fresh stain. · Read the label of your shirt or pants to check for any instructions regarding any specific ingredients to be used or avoided on the clothes before you start treating the stain. 1. Firstly, place a clean, white towel on a hard surface, and place the stained clothes on top of the towel. 2. Pour a few drops of rubbing alcohol on to cotton swabs, and apply it to the stained area. 3. Rub the fabric gently so that the highlighter stain starts to disappear. The color of the highlighter will start to transfer on to the cotton swab. Replace the cotton swab with a new one when necessary. Keep blotting till the entire stain highlighter Stains on your cloth has been removed. 4. Rinse the affected area with hot water. 5. Check your clothes for any stain that remains. 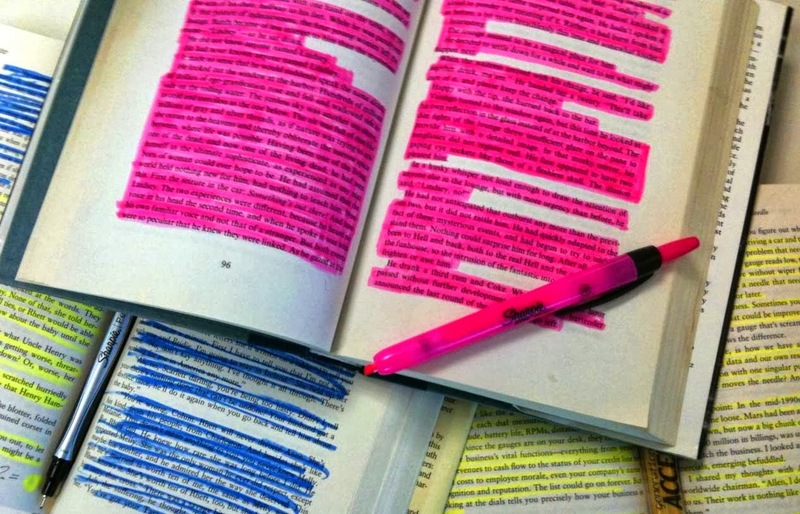 If there are still traces of highlighter on your clothes, repeat the above steps. 1. To start off, lay down a clean, white towel on a hard surface, and place the stained clothes on top of the towel. 2. Spray the hairspray directly on to the stain. Do not completely saturate your clothes in hairspray. 3. Using a clean towel or cotton swabs, start blotting the stain. Move to cleaner parts of the towel or new cotton swabs as the color transfers on to them. Keep doing so till the entire highlighter stain has faded or been removed. 4. Now, grab a bucket, fill it with cold, plain water and add a few pinches of salt to the water. Let the salt dissolve in water completely. 5. Soak the stained clothes in salty water, and leave them in the bucket for a few hours. 6. Wash the clothes as normal. 7. If the highlighter stain still remains on your clothes, repeat the above steps. 1. The first step towards the removal of highlighter stains from your clothes involves pouring your regular milk in a container. 2. Dip the stained part of your clothes in the milk, and rub the stained area gently with your hands. 3. Flush the stained area with plain water. 4. Check your clothes for any remaining stains of the highlighter. If a highlighter stain is still visible on your clothes, repeat the above steps. I tried the rubbing alcohol with no success. I then used the milk directions and it worked easily and successfully. Almost miraculously, really. This stain had set for well over 24 hours and it was from a large hilighter that had leaked its entire contents into a pair of dress pants. Thank you for posting this helpful information. I tried the rubbing alcohol, but it didn't work...like not even close. In fact, I feared it had actually set the stain. Based on c bream's comment, I tried the milk, even though it was only 2%. It had been nearly 48 hrs., but I soaked the spots on two 100% cotton garments. After a few hours, the highlighter was gone. Amazing. It works!! I went straight for the milk tip after seeing comments that it works! I used leftover expired milk and it still works! Thanks for sharing and saving my uniform! I tried the milk and it got 95% of a highlighter stain off a white cotton polyester top. The stain occurred 6 hours prior to treating. Used milk. My husband had a yellow highlighter in his pocket that went through the laundry. Numerous things were COVERED in it. Two of my daughter's dresses were the most upsetting. One I had made for her and the other is a light colored 50s vintage dress. Both she wears quite often. They both had been dried in the dryer and sat for probably a week. It started dissolving the moment it was dipped in milk. Came out beautifully with both dresses. (Cotton) I will go buy a cheap gallon for the rest of the laundry. Thanks for the tip! I appreciate all those suggestions, but, Oxy Clean Max Force spray laundry cleaner took out the entire stain! I have a green highlighter stain and what kind of milk(like a milk that we use to make coffee or milk we eat with cereal? i'm sorry for asking such a question but i think the carton ones right? idk). But i leave the stain for too long though, maybe a week ago..